These dark purple-red olives from the Kalamata region of Greece are marinated in olive oil to create a Mediterranean delight. Try our "Greek Salad" recipe – it will become a family favorite! I haven't found another Kalamata olive that compares to these. Others I've tried were too salty. on 5/10/2011 These things are wonderful! 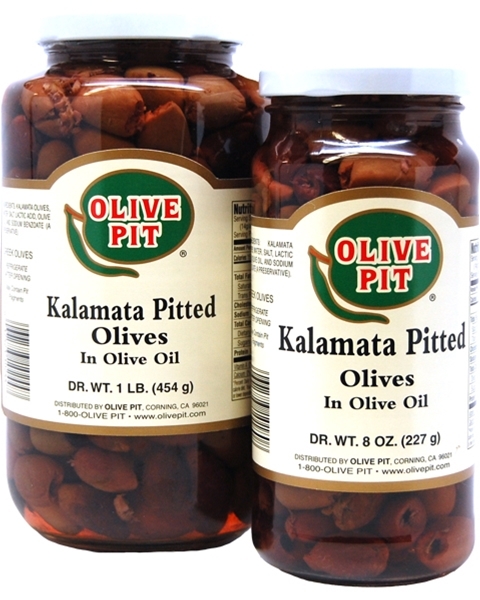 Olive Pit makes great Kalamata olives. I don't know if they are grown in California, but they should be so we can get more! My new favorite! These are wonderful.